Savannah Chrisley and Nic Kerdiles are all set to get married! Yes, you read that right. 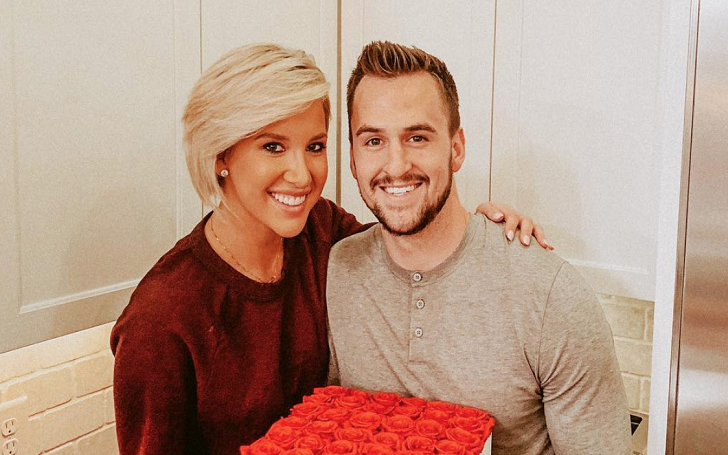 The Growing Up Chrisley star and her loving boyfriend are engaged, multiple sources have confirmed. An insider exclusively told that the NHL star asked permission from his girlfriend's father, Todd Chrisley, before he proposed her for marriage. Savannah, 21, and the hockey player, 25, who first met on Instagram, began dating in November 2017. The television personality shared with their fans in May 2018 that Nic is "so sweet and so supportive" of her career. [Things] are awesome. He’s great. [He] just wants what’s best for me, whether it’s traveling for work, the next opportunity. … Our careers come first. His comes first and mine comes first and then you have each other, which is great at our age. Both Savannah’s dad and her brother Chase gushed about the sportsman at the time. Todd, 49, said at the time, "I do [approve] … I like Nic." Chase, 22, added that Nic is "a nice guy." Most recently, Savannah and Chase opened up about their Chrisley Knows Best spinoff, in which they moved to L.A. to pursue their career. L.A. is a lot. I loved it but I was ready to get home for sure. There’s just a lot of pressure to feel like you have to act a certain way, look a certain way. I think it’s just about being responsible and thinking, ‘OK, where do I wanna be 20 years down the road? You just have to be strategic about it; you just have to be smart and it may not be fun in the moment, but it’ll pay off at the end. Nic is not the only athlete Savannah has been in a relationship in her life. She previously had affairs with NBA players Chandler Parsons and Luke Kennard. Growing Up Christly airs on Tuesdays at 10:30 p.m. ET on USA network.